10 heavy duty rectangular ground markers. 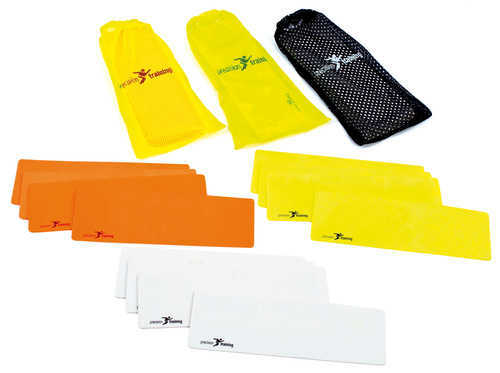 Ideal for all sports where areas need to be clearly marked. Indoor and outdoor. Come in handy carry sack.